Off Topic: EXPLOSIVE 🔴 THE BEST TRUMP RALLY I’VE EVER SEEN ! Rush Limbaugh, Lee Greenwood, Sean Hannity, Judge Jeanine Speak at Trump Missouri Rally. The final rally before the midterms. As well as 480 major attacks, Shin Bet also thwarted 590 lone-wolf attacks and arrested ‎219 Hamas cells, while combating cyberattacks and espionage plots, agency director says • Hamas is constantly trying to stage attacks in Judea and Samaria, he warns. ‎”The situation in the Palestinian arena has been ‎‎very unstable this year. In the Gaza Strip, we are ‎somewhere between a potential [military] campaign ‎and efforts to ‎stabilize the humanitarian situation,” he told the committee. Argaman continued, “Hamas is constantly trying to launch terrorist attacks in and from Judea and ‎Samaria. Hamas leaders in Gaza and Turkey are sparing no ‎effort to mastermind terrorist attacks in Judea and ‎Samaria, and similar efforts are being made from ‎‎Lebanon by the Hezbollah terrorist group, Argaman said. U.S. President Donald Trump has spared no effort to help the Republicans keep their majority in the Senate, but if the Democrats take the House of Representatives as predicted, he will have to adopt a more pragmatic approach just to be able to govern. So-called “special purpose vehicle” seeks to preserve EU’s ability to trade with Iran and circumvent reimposed U.S. sanctions, as well as keep Iran in the 2015 nuclear deal • U.S. official warns of possible sanctions against any potential host country. The European Union has so far failed to find a country to host a special mechanism to trade with Iran and circumvent the newly reimposed U.S. sanctions that went into effect Monday, according to three EU diplomats, who said European governments fear being targeted by U.S. countermeasures. The EU on Monday reissued its Nov. 2 statement, saying it was still setting up the so-called “special purpose vehicle,” or SPV, which is designed to circumvent the sanctions. The EU, which opposes the sanctions, had hoped to have the SPV ready by the time the sanctions came into force. However, no EU country has so far volunteered to host the entity, the diplomats said. Several states have been asked by EU foreign policy chief Federica Mogherini to consider hosting the SPV headquarters, as the bloc tries to uphold the nuclear accord from which U.S. President Donald Trump withdrew in May. While the European Commission declined to comment on Monday, European Economic Affairs Commissioner Pierre Moscovici said that “the European Union does not approve” of the reimposition of U.S. sanctions, which were lifted under the 2015 nuclear deal. Brian Hook, Washington’s special representative for Iran, underscored the risks for European companies, warning that any EU country hosting the SPV could potentially be sanctioned. “The United States will not hesitate to sanction any sanctionable activity in connection with our Iran sanctions regime,” Hook said. The SPV may incorporate a barter system and aims to sidestep the U.S. financial system by using an EU intermediary to handle trade with Iran. It could ensure, for example, that Iranian oil bought by Europeans could be paid for with EU goods and services of the same value. A senior French diplomat said Paris was confident the mechanism would be legally in place soon, but things needed to be fully cemented first. “We hope the legal instruments will be put in place in the coming days. It will then be a few weeks or months to finalize its modalities, and its implementation will be during 2019,” he said. He added there was no way any trade with this mechanism could be done before the end of the year. Hook said he had not seen demand from European companies to use the SPV because they preferred to invest in the United States. “If you take a look at the over 100 corporations that have decided to choose the United States market over the Iranian market, they are not looking to avail themselves of any type of vehicle, they are very pleased to continue working with the United States,” he told reporters. The EU, with support from China and Russia, hopes to keep Iran in the deal by allowing trade to flow despite U.S. penalties. The SPV follows several other EU initiatives to try to shield European business with Iran from the U.S. sanctions, which Trump says aim to punish Iran for its role in the wars in Syria and Yemen. 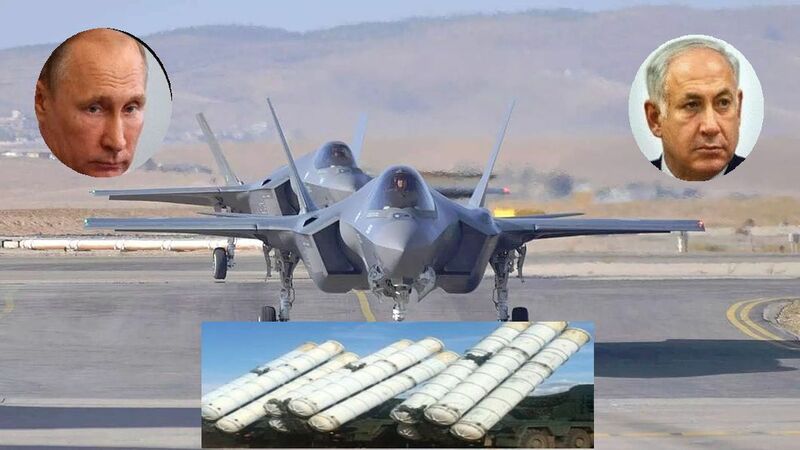 Israel warned publicly for the first time that its air force would strike Syria’s S-300 air defense weapons supplied by Russia and Russian personnel could be in jeopardy. On Monday, Nov. 6, Ze’ev Elkin, minister for Jerusalem affairs and the environment said that Israel will attack Syria’s new Russian S-300 air defense systems if they are used against Israeli jets, Addressing Russian media in a rare briefing, Elkin, who is co-chair of the Russia-Israel Intergovernmental Commission, criticized Moscow, saying: “We consider the very fact of shipping S-300 to Syria a big mistake. The Syrian military are not always capable of correctly using the hardware transferred to them. In case of improper operation, civilian aircrafts may be harmed,” he said. The minister, a member of Israel’s security cabinet, made these remarks after a month during which Israel refrained from air strikes over Syria and Russia had begun installing the first S-300s with Syrian operational teams. A response from Moscow will no doubt be coming for the first direct criticism by an Israeli minister of Russian actions in Syria. The Trump administration has allowed European countries to continue cooperating with Iran’s nuclear activities at a contested, secretive facility where Iran had wanted to make weapons-grade uranium, one of many loopholes in the recently announced sanctions reimposition that Iran hawks have criticized as being too weak. Iran is being given a pass from the administration to continue nuclear projects at the Arak, Bushehr, and Fordow facilities, all contested sites that have been at the center of Tehran’s secretive nuclear enrichment work in the past. The decision is part of a package of concessions granted by the Trump administration to Iran and European allies as a bevy of new U.S. sanctions go back into effect. In addition to permitting continued nuclear projects, the administration has walked back its vow to cut Iran’s oil exports to zero and fully disconnect Tehran from the international banking system. These concessions, first reported last week by the Washington Free Beacon and subsequently confirmed by numerous publications, have riled Iran hawks on Capitol Hill and elsewhere who have long fought to close all existing loopholes in U.S. sanctions. The State Department on Monday confirmed the Free Beacon‘s reporting, issuing a statement admitting to granting waivers for nuclear projects in Iran. “We are specifically permitting nonproliferation projects at Arak, Bushehr, and Fordow to continue under the strictest scrutiny to ensure transparency and maintain constraints on Iran,” the administration announced. “This oversight enhances our ability to constrain Iran’s program and keep pressure on the regime while we pursue a new, stronger deal,” the administration maintained, hinting at efforts to preserve the landmark nuclear deal that Trump abandoned in frustration over what he described as glaring loopholes that have empowered Iran’s global terror operations. While the administration will not consent to Iran undertaking new nuclear activities, it has conceded permission for European allies to continue projects already underway in the country. Advocates of a hardline approach to Iran in Congress say they are not being fooled by the administration’s rhetoric, which has historically been tough but is not being backed up with action. “It’s not maximum pressure if Iran gets to keep selling oil, gets to keep accessing the global financial system, and—now—gets to keep working on its nuclear program with help from Europe, Russia, and China,” said one senior Republican congressional official. Organizations that have supported the Trump administration’s moves on Iran also have expressed caution with the new concessions, another sign of mounting frustration among those who expected the White House to get tough with Tehran.